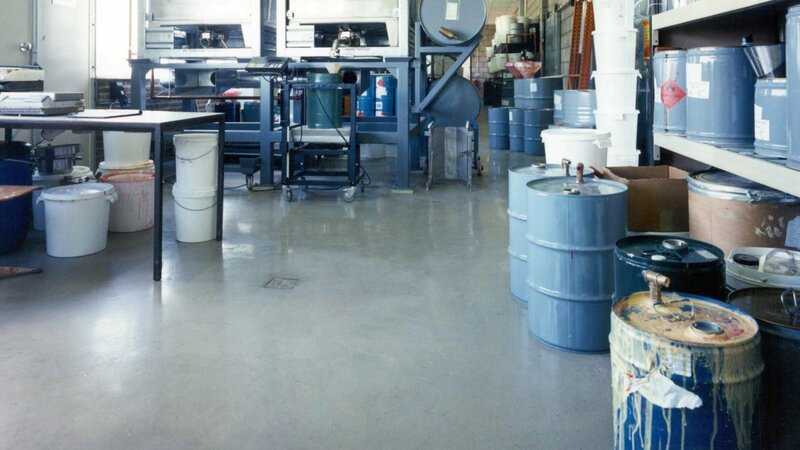 This highly chemical-proof, electrically conductive cast flooring is suitable for light and medium mechanical loads. The resistance to organic solvents like acetone is exceptional. A chemically resistant deco-mix (optional) provides a quiet and clean appearance. And: seamless, durable, impermeable to fluids, low-maintenance and applied on site by own specialists. Bolidtop Stato 500 SAR is a 3 mm thick electrically conductive flooring system which is highly resistant to chemicals. The electrical properties have been set in such a way that personal safety is guaranteed and there is compliance with the ESD requirements. The high degree of resistance to chemicals (especially organic solvents and inorganic acids) makes this system unique. Bolidtop Stato 500 SAR is very resistant to wear. A wide range of colours gives the architect many possibilities so that the floor fits into the atmosphere of the building. Bolidtop Stato 500 SAR is resistant to the most usual loads. Bolidtop Stato 500 SAR is resistant to the most usual chemicals and cleaning products.